Invisible People - Description | W. W. Norton & Company Ltd.
One of four extraordinary graphic novels celebrating the Big Apple, from the master of American comics art. A haunting trio of stories about life’s forgotten shut-ins in the tradition of Kafka, Gogol, and Melville. A gorgeous, collectible hardcover edition of Will Eisner’s pioneering graphic novel to celebrate the author’s 100th birthday. 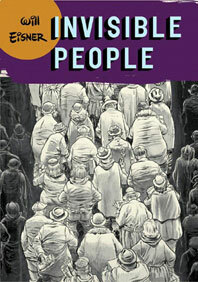 This powerful graphic novel confirms Will Eisner as a master of the genre. Four extraordinary autobiographical stories from a legend in American comics.